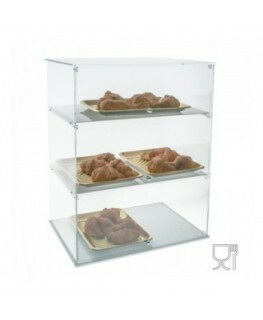 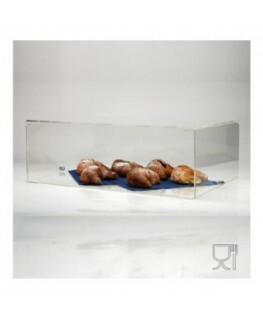 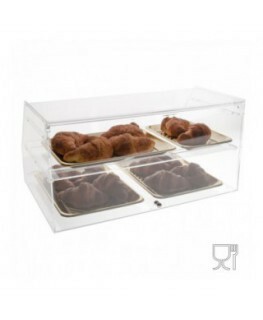 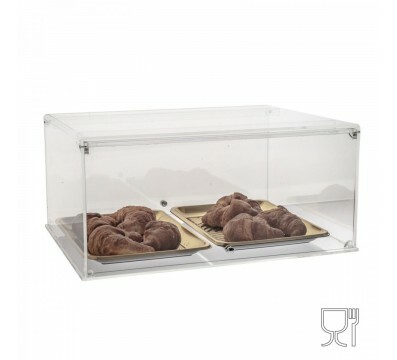 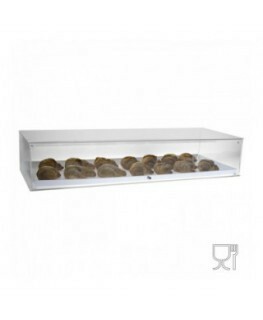 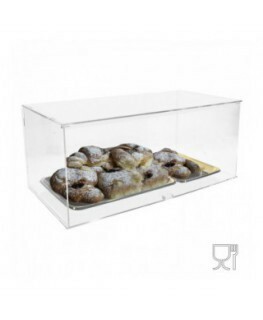 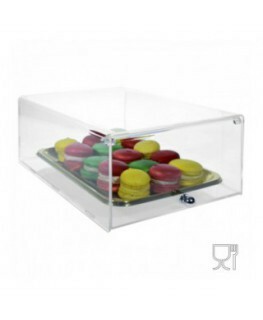 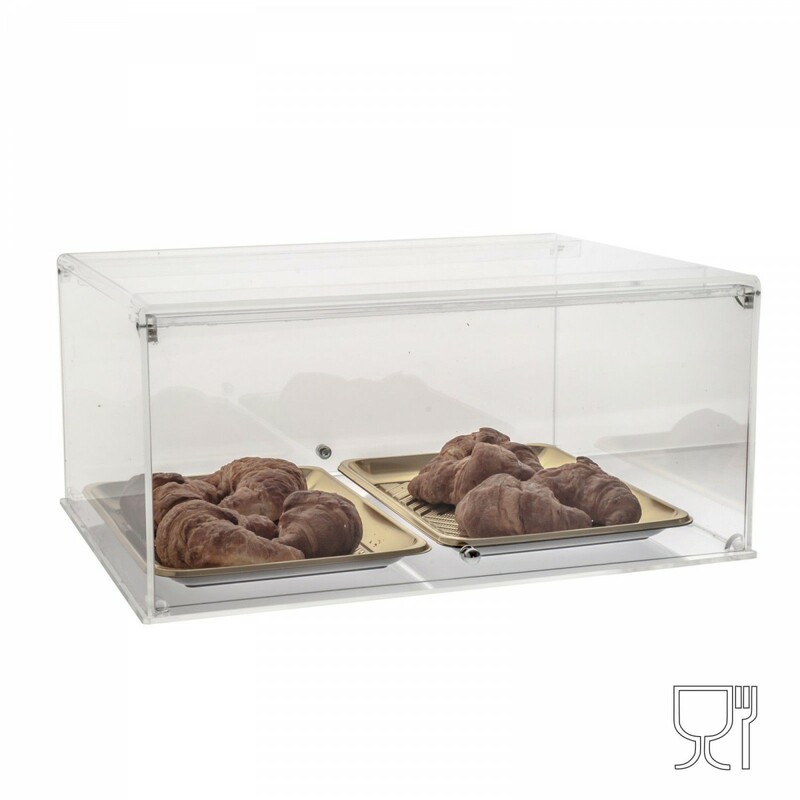 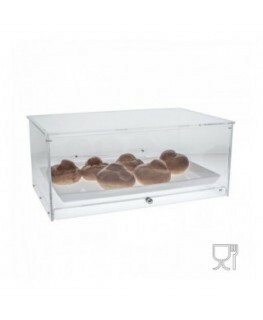 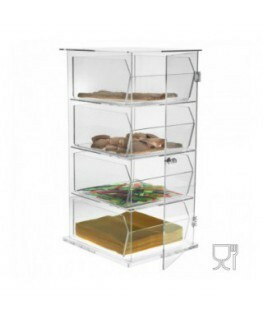 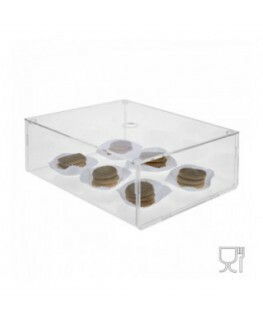 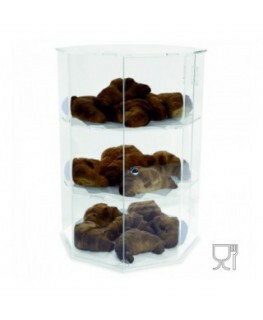 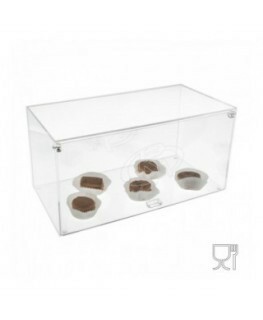 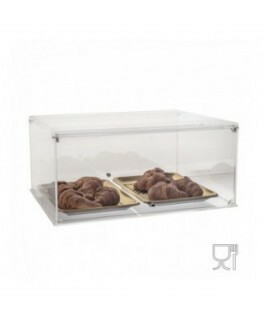 This acrylic countertop display case is suitable for food and ideal for cafés, cafeterias. 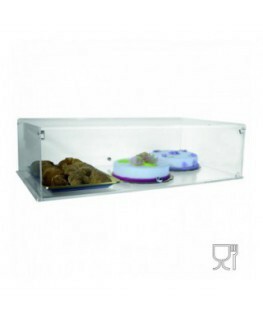 Il has a double closure flap with a knob. 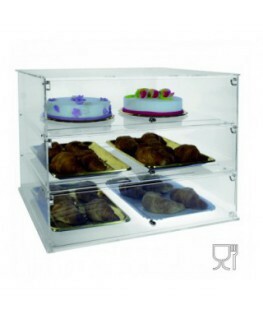 The display is quipped with a flap that protect foods from external agents and ensures data integrity.